Stemming from a 2012 conference entitled Brain Degenerations and Emerging Mental Health Challenges in Sub-Saharan Africa, this book is aimed at both the general practitioner interested in CNS disorders, and the specialist who would like to know more about CNS pathology in Africa. By employing a broad defi nition of what brain degeneration means, the authors are able to touch upon everything from dementias and CNS malignancy to traumatic brain injury and CNS infective processes. This book draws from and builds upon the original conference presentations, and incorporates the most up-to-date science behind brain degeneration as well as actual case reports. 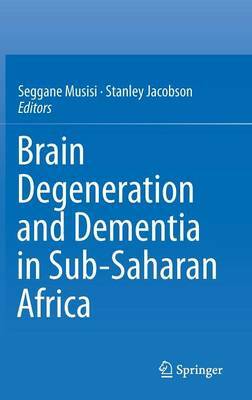 Each of the book's six sections off er the reader a deeper understanding of brain degeneration as it exists in Sub-Saharan Africa.